I started reading more about Ugly Drum Smokers and ran into the Hunsaker smoker. At first, I thought it was just another company that builds UDS’s but I had to change my mind fast. Here is how I compare the Hunsaker vortex smoker to all the other brands. If you have a regular oven in your kitchen and you upgrade to a convection oven you have the difference between a regular and a Hunsaker vortex smoker. 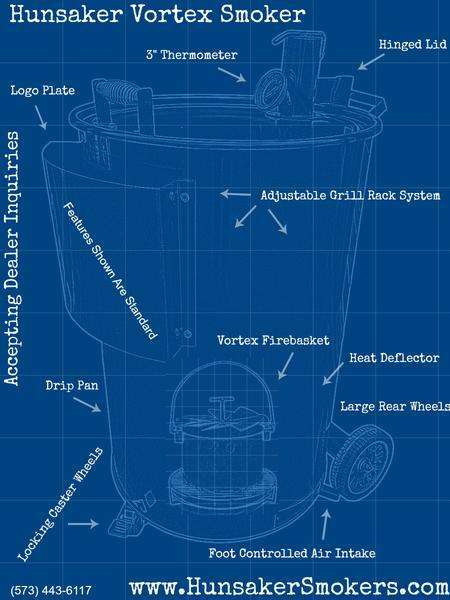 The Vortex system will provide you with a total even temperature all through your drum smoker. No hot or cold spots. A picture can paint a thousand words is the well known saying so I will start with that. Since the goal of the Hunsaker is to provide a smoker that has an even heat the reducing hot spots I looked at all the parts they use to reach that goal. it is very important to be able to control the air flow to maintain a constant temperature in your smoker. 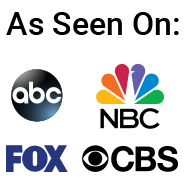 Hunsaker had two options and both can be purchased as individual parts. 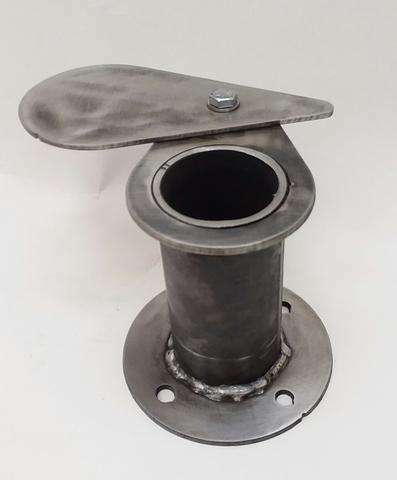 The air intake damper must work flawless to be able to control the airflow that, in combination with the exhaust damper, regulates the temperature. Compared to other brands that have, in most cases 3 air intakes the Hunsaker comes with one central air intake at the bottom. This will ensure that the air goes straight to the bottom of the charcoal basket. Later I will write how to use 3 steps to use the air inlet. This is the part that turns the Hunsaker in what I would call the best UDS smoker. First a picture again to make it easier to understand what I mean. Do you see the difference with all the other charcoal baskets? It is the vortex lid at the top. This will rotate the air (and smoke) in a way that there are not hot spots and a perfect temperature in the smoker. The vortex plate also function as a diffuser and the drippings of the meat will fall on it and the flavor will get back up in the smoker. The lid on the handle needs to be build in a way that it is cool to touch. 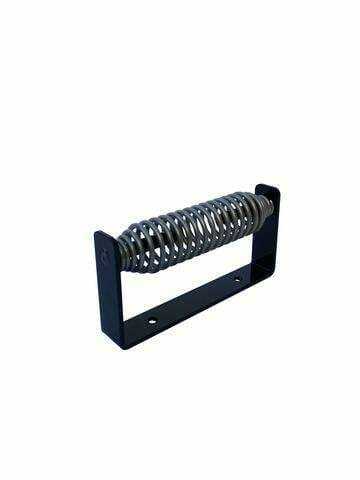 The Hunsaker spring handle is made of high quality and welded perfectly. For many other brands this is where it ends and if you need more you have to add them as extra’s. Hunsaker takes it a step further and add a lot more to there Vortex smokers. The lid needs to fit perfect to avoid air leaks and with the help of the floating hinges, this is no problem at all. 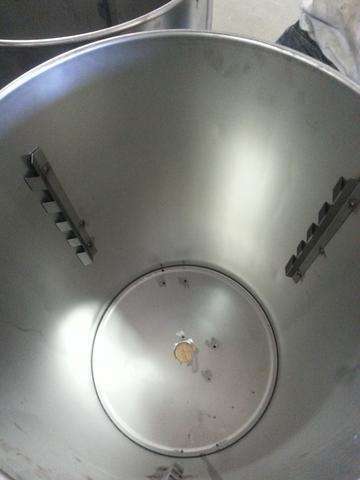 In general, you do not need any extra bracket to keep the lid closed. In combination with the lid handle it is very easy to open the lid. There is also a combo available that combines the air exhaust and the lid hinges in one. It is always great to have the option to move your grill grate up and down depending on what you cook. The Hunsaker comes with 5 heights and is very easy to adjust. As you can see there are no part sticking out. 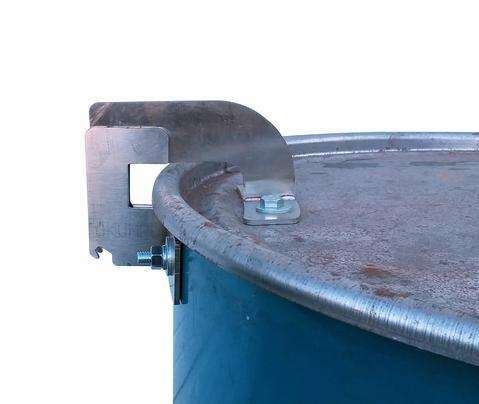 This makes it easier to lift the charcoal basket without banging into bolts that stick out. I don’t know about you, but I like wheels under all my grills and smokers to move them around. 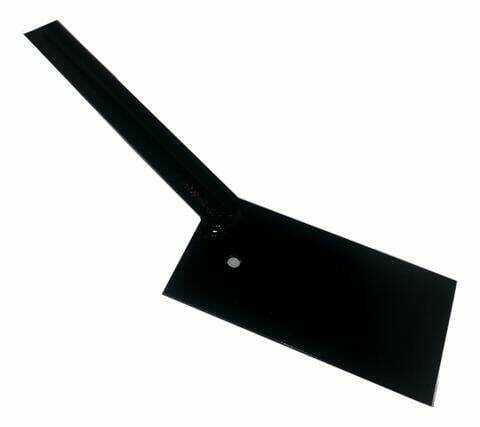 The Hunsaker come with an axle that extends out of the grill. Attached are two large 8 inch wheels. 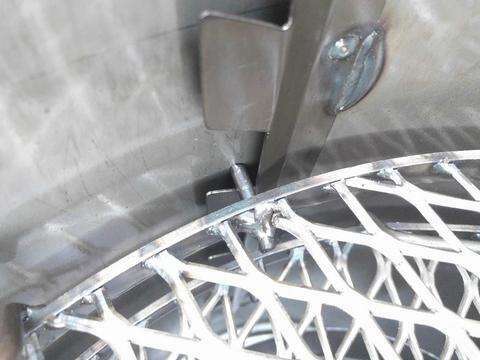 There is a swivel wheel in the front that can be locked. 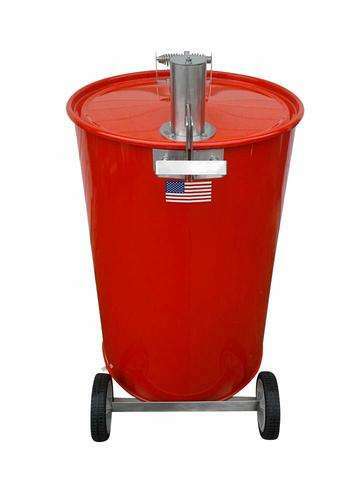 All together this makes it very easy to move the UDS even over bumpy and uneven surfaces. A thermometer is a part that you can not leave out in any grill or smoker. To avoid hitting the probe Hunsaker opted to place the thermometer in the exhaust. Many people write that they like the thermometer at grate level and I agree with that. To overcome the “false” reading in the chimney you can adjust the thermometer. To make it easy I will give you a list of all you get when you purchase a Hunsaker Vortex smoker. All kits will be delivered straight to you door completely assembled on a pallet. The Hunsaker company ships free to the continent and the 48 lower states. International shipping is available and you can contact them to find out their prices. I did a lot of reading and maybe I can call this article even a Hunsaker vortex smoker review in a certain way. I found that this smoker is becoming very popular in BBQ competitions and that is already a sign on the wall in my opinion. On the website girlscangrill.com I read that some of them even have 3 hunsakers to work with. On amazingribs.com they mentioned that it is hard to keep the temperature steady, but they opened the lid to move their thermometer around all the time. There is no grill or smoker that does not have temperature fluctuations after opening the lid in my opinion. I read a ton of posts on websites and forums that claim they kept the temperature steady for many hours without touching their air in or outlet. 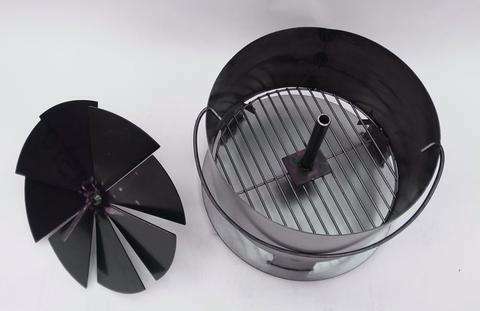 At first glance you might think it is just a fancy drum smoker but when you look better and compare it with other brands you can see why the vortex system is a big improvement. The price might scare you of at first, but the quality of the parts that are all made on a top of the line CDN machine and that assures a perfect fit for them. I am working on making a UDS myself and if I add up all the parts I am not sure if it’s worth it. 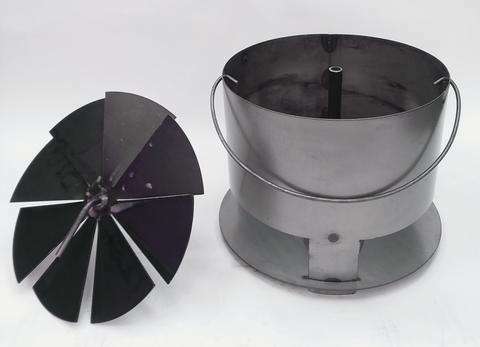 I know that if I add up my hours and miles to get parts in the equation, I can almost certainly say that the Hunsaker vortex drum smoker is cheaper. The bottom air intake can be controlled with your foot. there are three settings. 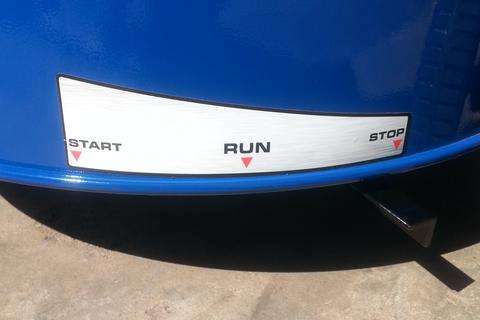 After that you control the temperature with the exhaust by opening or closing it more. All together I can say that the Hunsaker vortex smoker is worth every dime you pay for it. 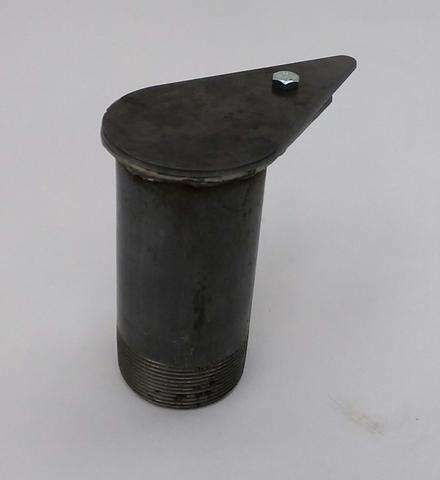 If you are more into making you own ugly drum smoker or like to add features or replace some part with a better quality the Hunsaker parts are great for that. All parts can be bought on their website and shipped as fast as possible. 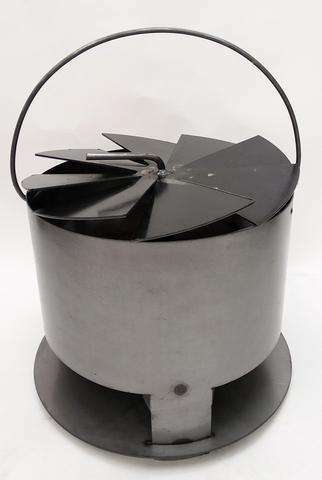 I am ordering me one of the Hunsaker Vortex charcoal baskets soon to finish my DIY drum smoker. I am happy that I did not got started yet at trying to build a charcoal basket myself.